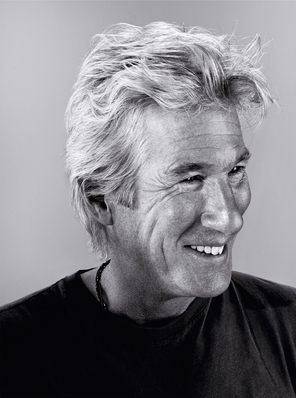 Richard Gere is an hotelier and restaurateur as well as a mega-movie star and well known buddhist. Here he talks with passion about falling in love with an old inn and the importance of 'spirit of place'. 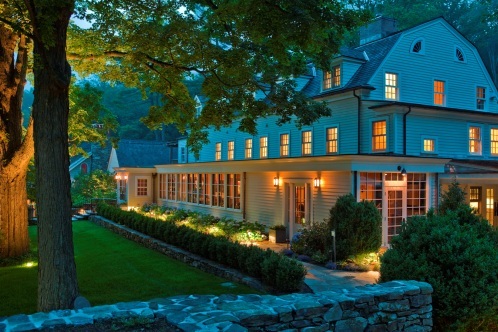 His Bedford Post Inn has its own Yoga Loft where enthusiasts can experience everything from Yoga 101 or wednesday night meditation , to a chance to listen to the teaching of an incarnate lama. "In my long career, I've played many challenging and demanding characters, but believe me none more so than my real life role as Innkeeper. I really don't know how this all happened. In the end it probably comes down to passion and a crazy kind of commitment. It was meant to be. All creativity begins with the same impulse - one starts with inspiration, love, courage, patience, and humility. If the motivation is generous, the outcome likely will be also. My partners and I can now look at the Bedford Post Inn [opened in 2009] with a great sense of pride and satisfaction. But it certainly wasn't easy. We really didn't know what we were doing. We just wanted to make something beautiful. And personal. We even put my Grandfather Albert Gere, a dairy farmer from Pennsylvania, on our logo. I'm sure it's the same for the other Relais & Chateaux innkeepers. The imagining, creating and running of the Bedford Post Inn has been a wilder adventure than we could ever have expected. The place itself has some real magic, though. It was one of the few buildings in the area that wasn't burned down by the British in the American War of Independence. The mid-eighteenth century main house had continually functioned as a restaurant and sometime hotel up until the turn of the millennium when the then owners left it abandoned and in a terrible state of decay. It was in serious danger of being lost forever. The local horse riding trails ran through the overgrown property and I watched, almost daily, the sad deterioration of this beautiful and lonely building. When it came up for sale, my wife Carey [Lowell], our partner Russell and I felt an enormous obligation to bring it back to life. (Well, actually, my wife thought I was crazy, but she also came to embrace it and design it.) We felt it could one day become the center of our community...a club house, gathered, of course, around great food and great wine. But we also hoped it would be a place of extraordinary natural and architectural beauty...a place of contemplation, meditation, yoga, t'ai chi and music. A place of unfettered conversation. We set out to feed the heart and soul as well as the stomach. We continue to feel a genuine sense of responsibility here and with it a solid commitment to have a positive effect in the world - through joy, reverence and a deep appreciation of a life lived to the fullest. "My rule of life is to drink and be merry. I asked the Bride of Destiny her bridal price. She said, Your joyous heart." We share a kindred spirit with the other Relais & Chateaux Innkeepers: a genuine commitment to serve, a rather insane attention to detail, a passion for beauty in all its forms and a personal aspiration to make our world a little better for us having been here. In the 500 Relais & Chateaux properties you can be certain to find a wonderful room and a memorable meal; but you may also receive a gentle reminder in the art of life. To be fully present. To do what you love. To share one's passion and joyous heart with others. "Meditation is such a more substantial reality than what we normally take to be reality." "When someone has a strong intuitive connection, Buddhism suggests that it's because of karma, some past connection."